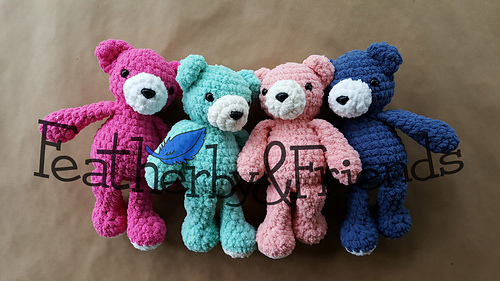 The Cuddle Buddy Bear is a soft & squishy bear just the right size for cuddling! 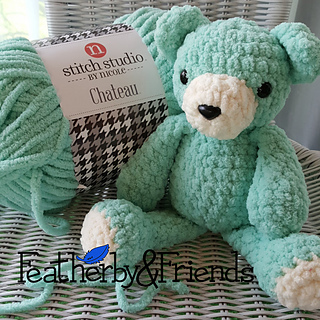 Made from Blanket Yarn with an 8mm hook this bear works up quickly! 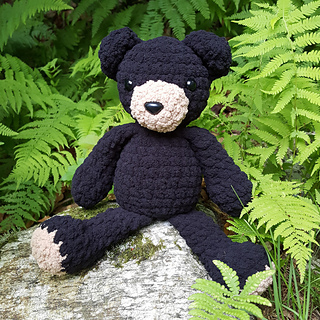 Finished bear is about 12 inches tall. PLUS about 8 yards in either Main OR Accent for the ears. 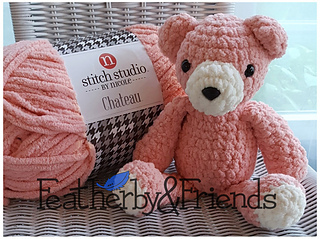 Note: 3.5 oz balls of Bernat Blanket yarn are 72 yards. If you make the ears in ACCENT one 3.5oz ball of MAIN is enough. If you want the ears to be MAIN you’ll need a second (or larger) ball. 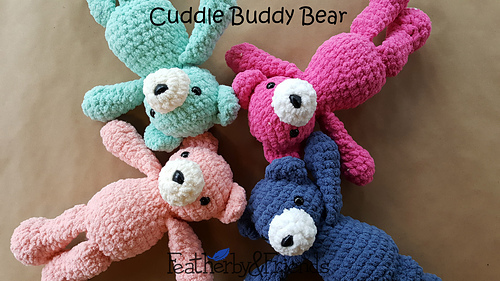 Also available: Cuddle Buddy Bunny! Visit me on Facebook for more info, pictures & giveaways! This pattern may not be copied or reposted in any way. 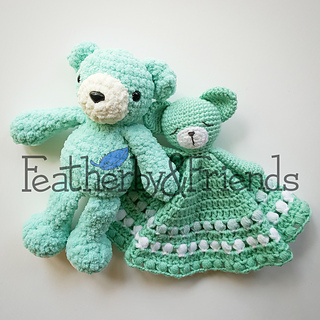 Items made from this pattern may be sold, but please credit Alicia Moore of Featherby & Friends for the design. 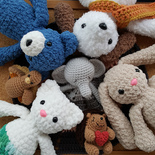 Make sure your stitches are tight enough that the stuffing does not show through. If it does, go down a hook size. 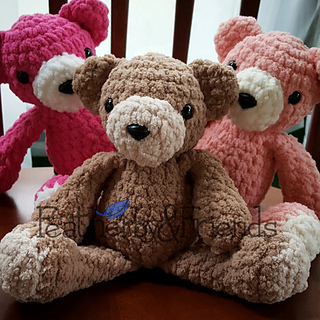 Finished Bear may be slightly smaller/larger than listed if your tension is tighter/looser. Just try to stay consistent so the pieces are the correct proportions.